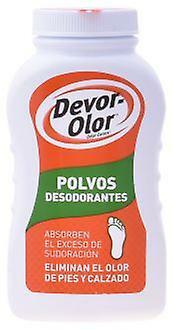 One of the most recognized brands in the world to prevent odor and sweating of the feet. It has a range that includes: Normal, Super and Sport insoles: the only insoles with triple protection against odor, absorb sweat, keeping feet dry and comfortable Formulated to combat the strongest odor in feet and footwear are suitable for the whole family. They can be applied directly on the feet or on the shoes. Powder Feet: destroys the smell instantly thanks to Zorbitex (powerful anti bactericide).